The original #Portal’s Test Chamber 17 is #notoriously the #level in which the Weighted Companion Cube made its first appearance and its doom. Though not before it became the cube with a face that launched a thousand memes. Thanks to an enterprising level designer, laakkone, that Chamber can now be played in Portal 2. What makes this a bit more interesting is that laakkone’s gone and reinterpreted the test chamber in Portal 2’s overgrown style, adding large quantities of intruding foliage, from moss and hanging vines to entire trees. 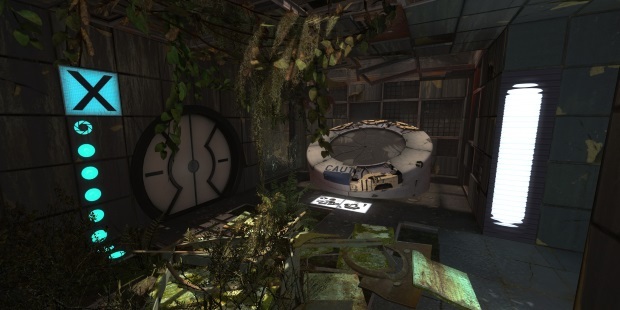 The greenery spills out everywhere and stands in stark contrast to the sterile visuals of Portal’s early test chambers. Although this remake will not take long for experienced Portal players to puzzle out, mentally navigating its environment has been made more challenging with so much flora added to the mix. We would not mind replaying the entire original game with all of this lush visual noise added to it. Test Chamber 17 – Overgrown is a quick and easy install via the Steam workshop, or can be downloaded from moddb. The only real downside to it all is that laakkone’s Steam username is dickbutt. Sorry about that.